Olim can travel in and out of Israel on the foreign passport containing their Aliyah visa for the first 120 days after making Aliyah. An Oleh is entitled to apply for an Israeli passport 90 days or 3 full months (whichever is longer) after making Aliyah (for example – if you made Aliyah on January 4th, you can apply for an Israeli passport on April 5th). Due to the unusually long lines currently in Misrad Hapnim for Biometric documentation, we recommend all Olim schedule an appointment HERE immediately following their Aliyah. Please make sure to set an appointment for no earlier than 90 days from your Aliyah date. If 5 years have not yet passed from their Aliyah date, or 5 years have passed but the Oleh has not proved having settled (51% of the time or 3 years of the first 5 years), a 5 year passport will be issued. If 5 years have passed and settling has been proved, the Oleh is eligible for a regular 10 year passport. After 5 years you must visit Misrad Hapnim to extend or apply for a new passport. Please note: Due to Biometric regulations, a passport extension is no longer done on the existing passport and requires issuing a new passport at Misrad Hapnim. Book an appointment at Misrad Hapnim for EACH person who needs a passport – including small children. CLICK HERE to schedule an appointment at Misrad Hapnim. You must have an Israeli cell phone number to book the appointment, as they will SMS you with the appointment time. Note: The form is in Hebrew only! If you find the Hebrew challenging, we recommend asking a Hebrew-speaking friend for help or contacting your post-Aliyah advisor for assistance. 1. Soldiers (in uniform) can be processed without an appointment. 2. Someone who has a Teudat Zehut number (Ezrach Oleh, Ktin Chozer, Returning Resident or an A-1 Visa holder) can schedule an online appointment from abroad pre-Aliyah. 3. All citizens can schedule an appointment EVERYWHERE in the country and not necessarily only at their local branch of Misrad Hapnim. Go to Misrad Hapnim on the assigned day, with your Teudat Zehut and a credit card, and follow the instructions given to you there. Everyone who needs a passport must be physically present. Please bring your old passport or Teudat Maavar with you (if applicable). 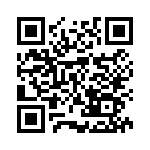 You can pay for your passport by scanning the following QR code. You can also pay at your meeting, but the prices for paying online are generally cheaper. CLICK HERE for the most up-to-date list of prices and fees. Your Israeli passport will be delivered to the home address listed on your Teudat Zehut 7-10 business days after you applied for it. You must have an Israeli cell phone number as the Misrad Hapnim will confirm your contact information via SMS. 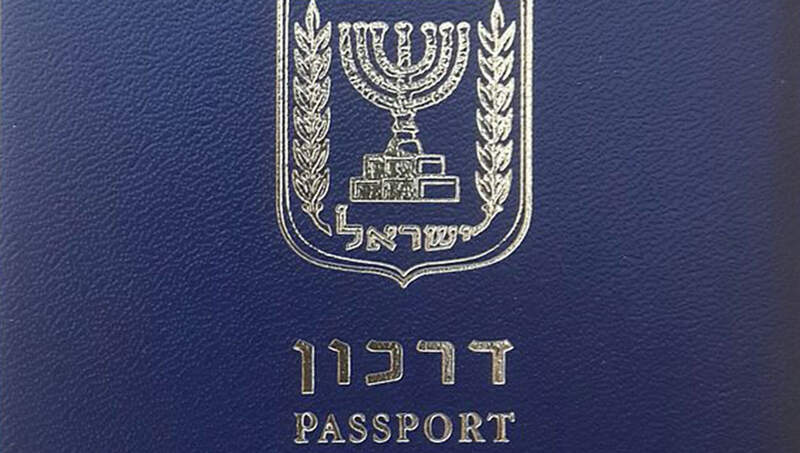 You can track the delivery of your passport by following THIS LINK (Hebrew only). You must enter your application number (not your Teudat Zehut number) and check the “I’m not a robot” box. You will be given a tracking number (usually starts with RR) which you can copy+paste into the post office website, found here. The post office site will indicate where your passport is in the delivery process. Diligently check your SMSes for the message from Misrad Hapnim asking if you received your biometric passport. Following their directions, confirm receipt of your new passport. Not enough time to get your Israeli passport? If you do not have time to go through the proper channels to apply for and receive your Israeli passport (either a first-time passport or renewal), it is possible to get permission to travel on your valid foreign passport. Go to Misrad Hapnim during regular reception hours (you do not need an appointment) with your Teudat Zehut, proof of travel (printed ticket), and valid foreign passport and request a one-time approval (אישור יציאה חד פעמי על דרכון זר) to travel on your foreign document. In an emergency, the Border Control Police at Ben Gurion Airport may allow you to leave the country with your foreign passport only, or they may refer you to Ben Gurion’s branch of Misrad Hapnim. Use this option only as a last resort! Given the significance of the smart ID card and according to the Population Registration Law, residents must ensure the retention of their ID in their possession and under their control at all times, carrying it with them at all times and must not allow anyone else to use it for identity authentication or signature unless by written consent. In the event of not retaining an ID card, another person could impersonate the identity of the card holder and may be identified by his name to perform various actions, as well as for verification or a signature using the ID card. Residents will not be liable for any damage caused due to an act committed by another person without their written consent. In 2009, the Israeli Knesset enacted the ” Inclusion of Biometric Means of Identification in Identity Documents and in an Information Database Law”, 5770-2009 (the Biometric Database Law). The law establishes arrangements to enable identification and authentication of Israeli residents by means of including biometric data in identification documents, in a manner that will prevent forgery and the use of a different identity. The law regulates the establishment of a biometric database, which will be managed by a dedicated and separate authority: the Biometric Database Management Authority, and in which the biometric information will be kept in a secure and encrypted manner, separate from any other communication network, and in particular from the Population Registry. The database will not include any identifying information of the residents of Israel. According to the law, smart documentation – ID cards and travel documents – will include the following biometric means and data: an image of the facial features and images of the fingerprints of both forefingers, which are means of identification intended of preventing fraud and identity theft. The smart ID card will allow its holders, should they wish to do so, to safely identify themselves online from home and save significant time and hassle when obtaining government services from government websites using a personal password (for electronic identity authentication). The smart ID card will allow the use of certified electronic signature for those who choose it. The new passport is at the global forefront of using sophisticated anti-counterfeit measures and is designed according to the standard of the International Civil Aviation Organization (ICAO) under the auspices of the UN. More than one hundred countries are already issuing passports and smart electronic travel documents under this standard. The technology embedded in the new passport will enable faster travel at airports and at border crossings in Israel and in the world and will facilitate the process of border control. The Biometric Database Law states that initially there will be a trial period (pilot) of two years, during which, smart biometric identification documents will be issued for those who choose to obtain them, before the law is applied to all residents. In addition, the law states that during this period no data from the biometric database will be passed on, except to the Population and Immigration Authority for issuance of smart identification documents for those requesting them. At the end of the pilot, when the law will apply to all residents, under certain circumstances and under strict conditions set by the law, data from the Biometric Database will be transferred to the security authorities and the police only. The trial period will end on March 1, 2017, at which point all Israeli documentation issued will be biometric. Every resident or citizen who is entitled to receive an ID card or travel document (passport or Laissez-passer) may request smart biometric documentation at the bureaus of the Population and Immigration Authority around Israel. In the past, a person wishing to obtain an ID card or passport would have come to the bureau of the Population and Immigration Authority with passport photos taken in advance, however the photo for the smart electronic documentation is handled by the service provider at the bureau. The photographic procedure is quick and does not require any preparation in advance. The image will be transferred for issuing at the central database, and after authentication of the identity of the applicant and verification that this is not a case of double identity or impersonation, the smart biometric documentation with integrated photo will be issued. A person wishing to obtain a smart biometric document must arrive at the Population and Immigration Authority bureau and identify himself using an existing ID card. In its absence, the applicant will present a passport or Laissez-passer. The applicant will sign a request form to receive smart biometric documentation and a letter of approval and consent, according to which he approves the taking of his biometric identification: an image of facial features, digital fingerprints of both forefingers, and their inclusion in the biometric database. In addition, a process of authentication of the applicant’s identity will be carried out by means of several computer generated questions that will be asked by the service provider. The service provider will then perform the procedure for photography facial feature photograph and electronic scanning of both forefingers of the applicant. The process of fingerprint scanning is quick and simple. The procedure is performed using an electronic scanner, on which the two forefingers are pressed for a few seconds. The scanning process of the fingerprints does not use ink, and the use of the instrument is not messy. In exceptional cases where scanning the fingerprints of the forefingers is not possible, for health reasons of the resident or for technical reasons, the applicant will be guided by the service provider how to carry out the scanning of the fingerprints. Finally, the applicant shall sign a form detailing the manner in which the document may be used and the obligations imposed upon the holder as a smart documentation holder, such as preventing misuse of the document. The biometric data will be encrypted and transferred to the biometric database to verify the identity of the applicant. The information will be stored at the biometric database in a secure and encrypted manner and will be deleted from the computers of the Population and Immigration Authority. A smart ID card is produced at a central production site, and will be delivered to the applicant within ten business days of submitting the application, at a bureau of the Population and Immigration Authority of the applicant’s choosing. Upon the receipt of the card, the applicant will receive a personal password to operate it and an appendix containing their personal details. Notice of the arrival of the new card to the bureau will be sent to the applicant via text message (SMS). Smart passports and any other travel documents will be sent to the applicant by registered mail within ten business days, and there will be no need to arrive at a Population and Immigration Authority bureau to receive it (as required in the delivery of smart ID card). A resident or citizen age 16 years and over will be able to obtain a smart biometric ID card by personally appearing at a Population and Immigration Authority bureau, accompanied by a parent if they are married, or accompanied by both parents if they are not married. A citizen under the age of 18 who wishes to obtain a biometric travel document (passport or Laissez-passer), must personally appear at a Population and Immigration Authority bureau at the time of the application, accompanied by one parent if they are married, or accompanied by both parents if they are not married to each other. The presence of both parents is required, as is currently done when issuing a passport, to identify the applicant for the purpose of submitting the application, and for signing the letter of agreement. For applicants under the age of 12, only the process of photographing the facial features will be carried out, and fingerprints will not be scanned. In any case, biometric measures will not be taken from an applicant under the age of 18 who does not wish to do so. The decision whether to replace the existing identification documentation with smart biometric documentation is based on the voluntary consent of the applicant. Those who do not choose smart biometric documentation during the trial period (the first two years from the beginning of the project) can continue to receive the currently accepted identification documents and their rights will not be denied. Until March 1, 2017 you can choose between a regular ID card and an advanced and safe smart ID card that cannot be forged. From that date, smart ID cards, which includes biometric measures and data that are unique to each person, such as facial feature image and images of fingerprints from both forefingers, as a means of identification intended to prevent fraud and identity theft, will be required. The new ID card, one of the world’s most advanced, guarantees that no one except yourselves will be able to use your identity. The smart ID card is made of material called “polycarbonate” that gives it flexibility and durability under extreme conditions. Its size is similar to that of a credit card and it contains many overt and covert security measures that cannot be forged. When you receive the smart ID card you will also receive a personal password, and using a card reader you can quickly and easily perform online various activities on the websites of various government institutions, directly from home or from your PC. The smart ID card will give you personal safety and peace of mind from forging of the ID card and from identity theft and impersonating the ID card’s owner. In 2011 alone, more than 130,000 ID cards and more than 22,000 passports were lost or stolen in Israel. In many cases, the stolen cards are forged and are used to impersonate the card owner, to open fictitious bank accounts, to withdraw the discharge payment from bank accounts of discharged soldiers, to commit financial scams, and are even used by terrorist organizations for the infiltration of terrorists and for terrorist attacks.